After a pulsating game between the two sides in Thiruvananthapuram, India A and England Lions will be raring to have another go at each other when the second unofficial ODI takes place on Friday. A team effort from India A's batting lineup helped them clinch a narrow victory over England Lions in the opening match. The stage is set for another tight clash between two quality laden teams. Zak Chappell did pick up three crucial wickets but was very expensive conceding 84 runs in his ten overs. His new-ball partner, Jamie Porter could only complete five of his overs but could be given another chance given his exploits for Essex over the years. Dom Bess might sit this one out for Matthew Carter as the off-spinner was largely ineffective against the likes of Rahane and Iyer. The rest of the side should stay unchanged ideally. After a fairly good performance in the previous unofficial ODI, not many changes are expected of the India A side. But coach Rahul Dravid is one to give a game to all of his players and hence we might see Navdeep Saini play instead of Deepak Chahar. The rest of batting should stay the same with the possibility of Bawne coming in for Vihari. Wicket-keeper: Both Ishan Kishan and Alex Davies had a great game and both look in good touch as well. Either of them would suffice with Alex Davies preferably getting the nod with his ability to score big runs evident during his stint in the Royal London Cup 2018. Batsmen: Shreyas Iyer and Sam Hain are two players you wouldn't want to miss out. Both of them are proven performers and should put in telling performances on Friday. Ben Duckett, Sam Billings and Anmolpreet are also great options to go for with Will Jacks also a decent option with his medium pace coming in handy. All-rounders: Axar Patel and Lewis Gregory are the two all-rounders to go ahead with for the second unofficial ODI. Both of them are capable of getting key wickets and completing their quota of ten overs and scoring at a brisk rate at the death overs. 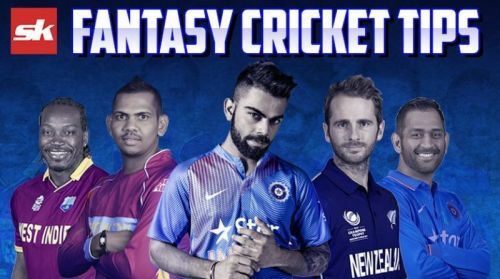 Bowlers: Shardul Thakur and Sid Kaul are the designated death bowlers for India and are must-haves in any fantasy team. With Thakur doing well with the new ball as well, both of them are bound to do good against England Lions. Similarly, Zak Chappell was also quite good though he was expensive. Chappell and Briggs should round off a fairly good fantasy side. Captain: Shreyas Iyer missed out on a promising start but one cannot expect the Mumbaikar to stay down for long. Other options for captain are Ben Duckett and Anmolpreet Singh. Ben Duckett is an explosive batsman who happens to have a double hundred while playing for the England Lions and is also a great option. Follow cricket? Cash your knowledge with bonus code "JOIN 25"